Patients wishing to escape contact lenses through refractive surgery all too often find themselves needing refractive correction after surgery. 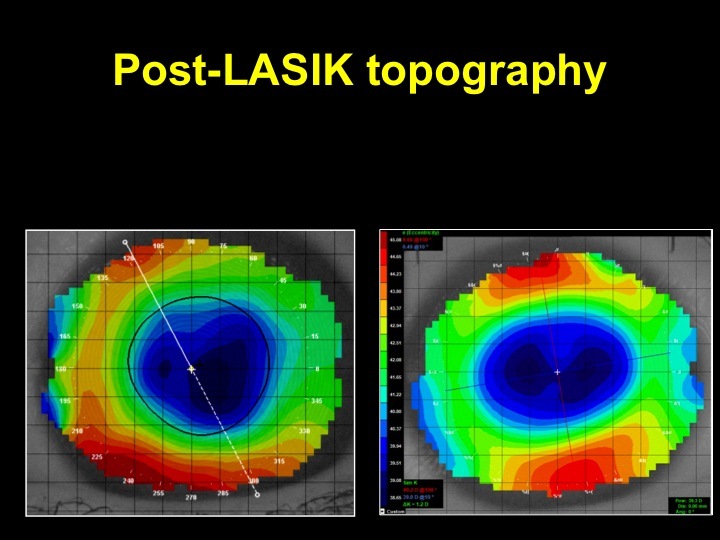 For those patients who were previously myopic, the resulting corneal profile after surgery is relatively flat centrally versus peripherally (oblate). This is in stark contrast to the normal corneal profile that is steep centrally and gradually flattens toward the corneal periphery (prolate). This sets up a challenge for the contact lens practitioner who wishes to appropriately design and prescribe a soft contact lens for such a patient. Utilizing a traditional “off-the-shelf” soft contact lens designed for the prolate cornea on an oblate cornea will cause excessive vaulting of the central cornea. With enough vault, a bubble may form beneath the center of the lens; however, more commonly the patient’s vision will simply vary with each blink as the central portion of the lens collapses against the surgically altered central cornea. The following fitting strategy will help to better align the posterior surface of the contact lens to the cornea. Step 1: Obtain central keratometic readings. Step 2: Convert the flattest keratometric reading (flat-K) to mm radius of curvature. Step 4: The peripheral fitting curve has a more traditional soft lens curvature, as the portion of the cornea over which it extends is unaltered by the surgical procedure. Example: 8.6mm. Step 5: Assign a diameter based on the patient’s corneal diameter (HVID + 2.0mm) (see Soft Special Edition issue winter 2010-2011). Step 6: Order lens power based on the vertexed manifest refraction.